Folk Art embraces a strong tradition of using everyday, readily available materials to build aesthetically beautiful, yet functional art: textiles, tools, and craft pieces made from the things we have, can forage, or acquire. Up-cycling, reuse, and recycling have captured our local and national attention. Reduce your carbon footprint and make a treasure to cherish for years to come. 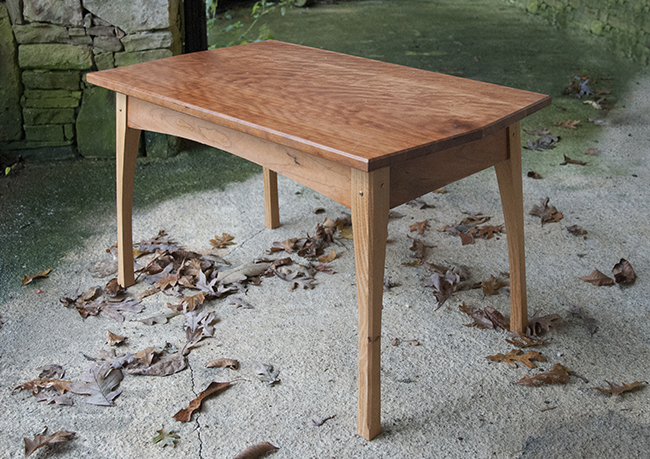 The Folk School offers many classes that incorporate the spirit of recycling. So open that junk drawer, dust off those sentimental knick-knacks and keep reading. 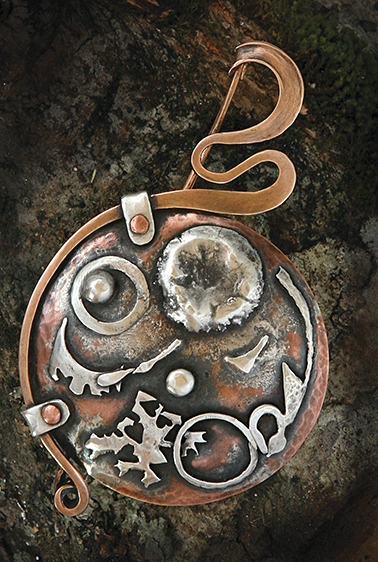 A fibula made by Tom Patterson using recycled bronze, silver and copper. Join instructors Tom and Kay Patterson during Earth Week (April 20-26) for Beginning Jewelry-Basic Refabrication with a strong emphasis on using recycled and re-purposed materials. 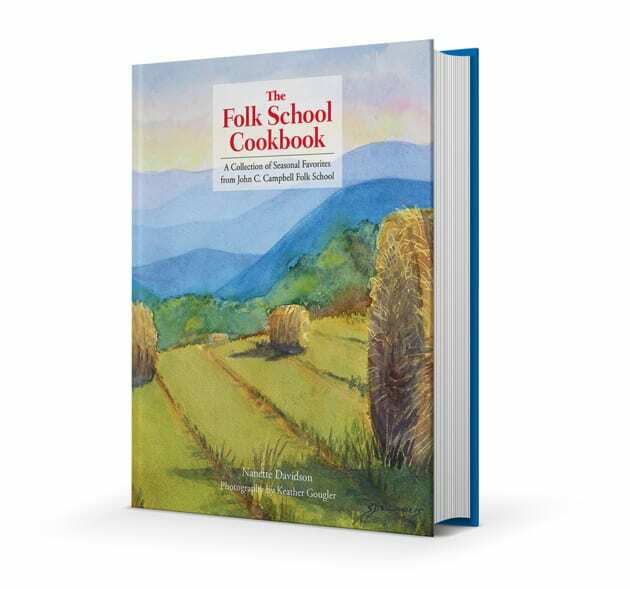 Tom and Kay provide comprehensive instruction in using the basic tools of jewelry-making: fabrication, forging, hot and cold connections, bench-top refining of metals, and foraging for raw materials. While this class is designed for beginners, experienced jewelers may take inspiration from a renewed look at the craft and materials. 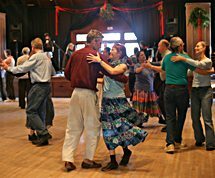 Tom and Kay are teaching a Weekend version of this class Nov. 14-16. Several weekend classes scheduled Nov. 14-16 focus on recycling to celebrate America Recycles Day on Nov. 15. Bob Alexander’s Making Useful Items from Junk Blacksmithing class examines the re-purposing of iron: oxygen tanks become outdoor bells, railroad spikes become knives. Sculpture class: Fantastic Plastic Recycled Art with Davis Edgar introduces students to materials, and tools involved in recycling plastics into sculptural pieces using environmentally friendly techniques. 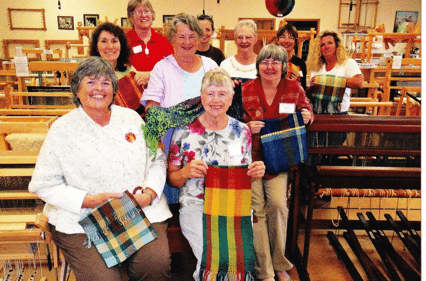 Geri Forkner’s Weaving class, Run with Scissors, is inspired by her ongoing daily weaving project wherein she takes elements she interacts with in her day-to-day life (e.g. grocery bills, her granddaughter’s bookmarks, an airline boarding pass) and turns them into a daily weaving record of her life. 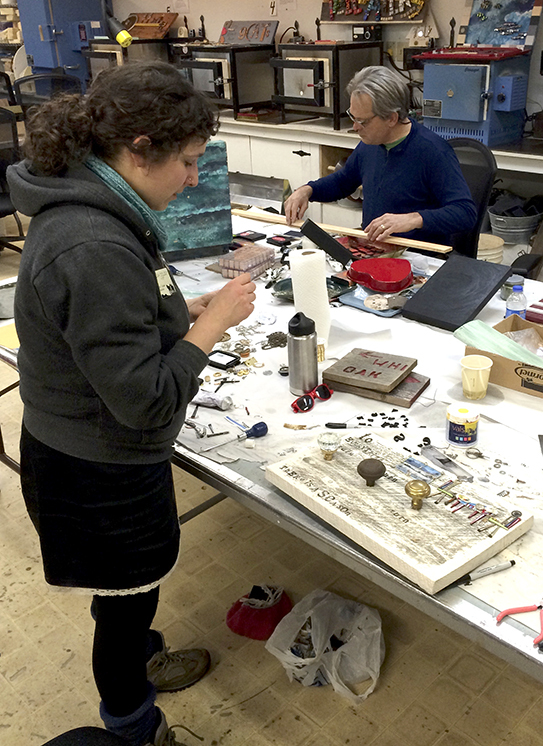 Finally, the Folk School’s Enameling resident artist, Paul Roche, is teaching a refurbished copper class: From Metal Trash to Enamel Treasure. All classes are also open to students of all levels. 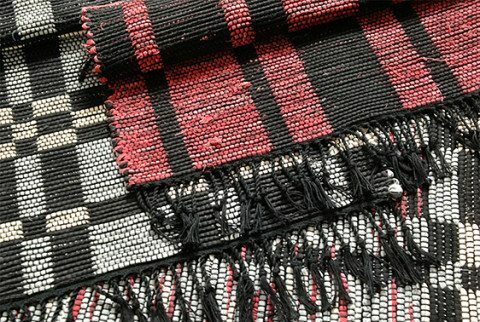 The process of making rag rugs involves weaving or hooking small strips of fabric into a functional tapestry. Woven Rag Rugs: Art for Your Floor with JoEl Levy LoGiudice (Aug 3-9) will introduce beginning weavers to the technique and provide intermediate weavers with ideas for log cabin and block design. 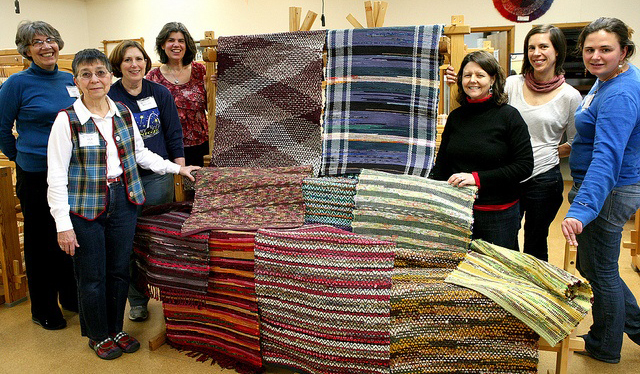 R.J. Hadle’s popular weekend Toothbrush Rugs class (two dates in 2014! : Apr 11-13 and Sept 12-14) will turn your old sheets and clothing into a beautiful rug using a toothbrush functioning as a crochet hook. Rag Weaving – Endless Possibilities with Christie Rogers (Oct. 12-18) explores all aspects of the craft with an emphasis on each step of the process: from techniques in design to possibilities for finishing. Rag Rug Design Workshop with Nanette Davidson (Nov 2-8) is a design course designed for intermediate weavers (able to wrap a warp independently). What to do with that teacup of your grandmother’s you accidentally broke. No need to feel guilty about that broken teacup any longer. There are several recycled art classes in glass, metalwork, and enameling that will teach you how to re-purpose these materials. 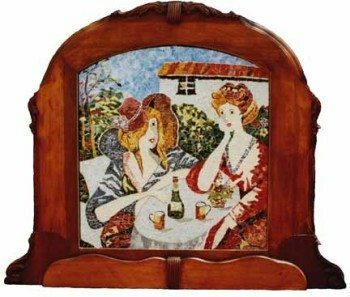 The Art of Mosaics using Broken Dishes with Jennifer Freeman (Sept 21-27) explores the art of pique assiette, using broken dishes and found objects to create a unique mosaic tabletop or mirror using a variety of techniques. 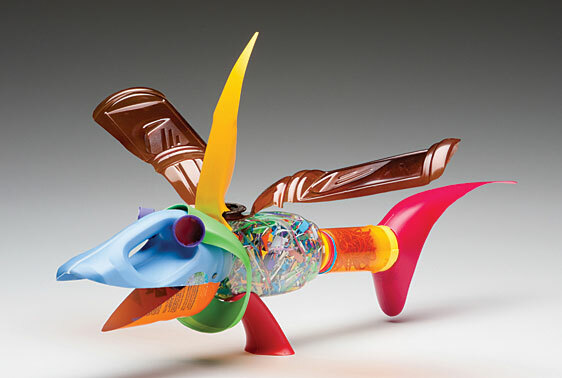 Steve Smith’s Recycled Fused Glass (Sept. 7-12) class examines re-purposing wine bottles – learning to melt them in a kiln, and to cut them to make projects such as wind chimes and pendants. 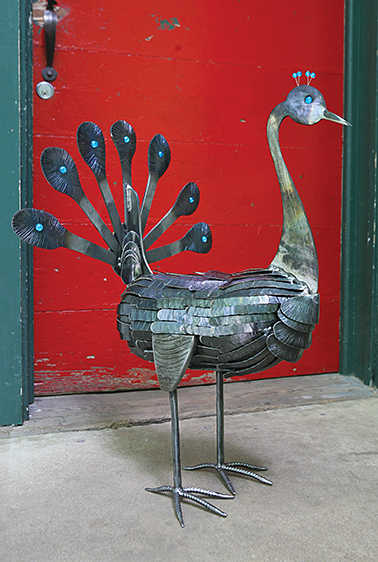 Combine welding, cutting, and forging techniques to create yard art with old tool parts and other recycled materials in Julie Clark’s Yard Art: A Level Above (May 25-30). I love the idea of this type of recycling- . I have been “making things” from found items, discards and other unexpected treasures for most of my life. I was a ‘fine arts’ major, more interested in drama than ‘craft-work’ but fascinated by all the creativity going on around me. Now I paint,( not very well), and have a great desire to create ‘crafty things’ from collections of otherwise useless materials I have been building to use in collages, pictures, tiny items, foam sheets and boxes of all sizes. I hope to come to your school this year for classes on several skills I would like to improve.